Completed in the early 1990s, The Bottle Works is a conversion building of only around a dozen individual units. The site of an old bottle manufacturing facility in Downtown Atlanta, the multi-level units make use of the large windows, infusing the homes with plentiful natural light. Ranging in size from one- to two-bedrooms, it’s common for the residences to offer from around 750 square feet to upwards of 1,600 square feet of living space. Other features of the homes include some exposed brick walls and hardwood floors. Located in Castleberry Hill, the industrial lofts make it easy to reach area sites and attractions, as well as public transportation. The historic building is also close to nearby restaurants and shops in the surrounding neighborhood. For additional information about Bottle Works Lofts for sale near downtown Atlanta, contact us at your earliest convenience to schedule a private tour! Listed below are recently closed sales at theBottle Works Lofts in Atlanta. Whether you’re thinking about buying or selling a loft at Bottle Works Lofts, checking to see what other comparable properties have sold for in recent weeks and months provides helpful insight into current market conditions within the community. 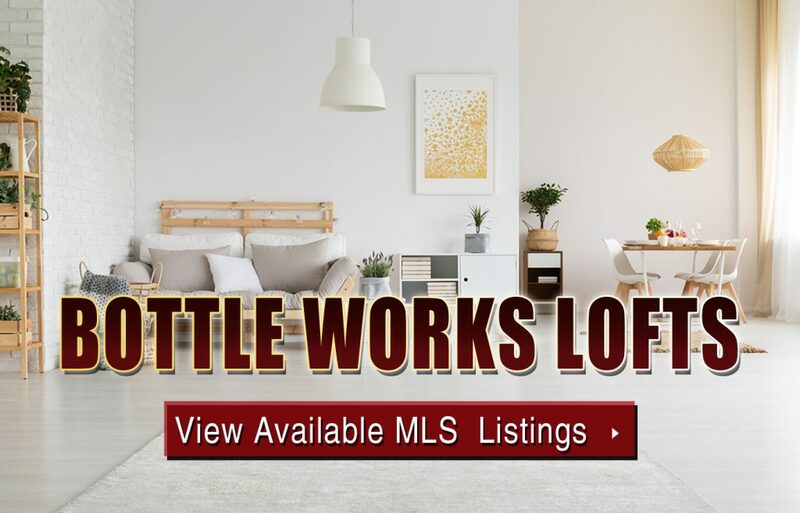 For more information about Bottle Works Lofts for sale or for a complete list of recent condos sold in the neighborhood, contact The Zac Team today! Can’t find what you’re looking for in Atlanta’s Bottle Works Lofts building? Start browsing other Atlanta real estate for sale or give the Zac Team a call at 404.564.7272 for help with your new home or condo search today!